With over 50 million installs from all over the world, DiskDigger’s effectiveness speaks for itself. 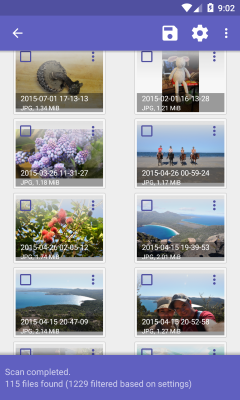 If you need to recover other types of files besides photos and videos, try DiskDigger Pro for Android. See the quick-start guide for instructions on using the app. 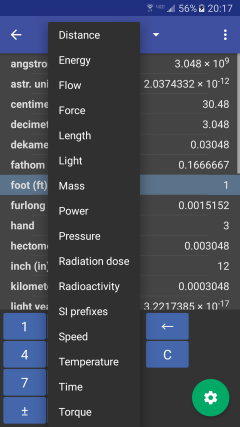 A very simple unit conversion app for your Android device. Simple enough to be enjoyed by over 100,000 users, it has a very clean and minimal interface, and isn’t encumbered by ads or unnecessary permissions. It contains all the most widely-used types of units, as well as many obscure ones, and lets you customize which units are actually important for you to see. The app also provides a widget (selectable from your device’s Widget selection screen) that will let you quickly convert between two units directly on your home screen. Best of all, this app is open-source! A simple app for exploring the Mandelbrot set, as well as the corresponding Julia set at any selected location on the Mandelbrot. 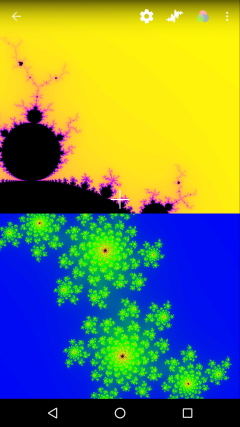 You can explore the fractal by panning and zooming, and adjusting the number of iterations. The app employs a native JNI component to maximize the speed of the rendering and provide a smooth experience when navigating through the fractal. Did I mention that this app is open-source? For older stuff, please check out the Miscellaneous archives.